DNDi will soon be marking the 15 years since its founding, an anniversary which comes at an exciting time in DNDi’s growth since 2003. Our pipeline is maturing, and significant scientific milestones are on the cusp of being reached. We have already delivered seven treatments for five diseases. This illustrates the wisdom of having invested early on, not only in long-term projects to discover and develop new chemical entities (NCEs), but also in short-term projects that would have a more immediate impact on improving clinical care for patients. Sleeping sickness: Fexinidazole, DNDi’s first NCE, which is in the last stages of regulatory review, submitted by our industrial partner Sanofi. If successful, ‘fexi’ would be the first all-oral treatment for sleeping sickness. Leishmaniasis: Novel drugs, based on four NCEs in early discovery research and six in pre-clinical development. Contributed to Grupo Insud’s successful registration of the first treatment to be approved in the US for Chagas disease; the sale of Insud’s priority review voucher will go towards increasing access to treatment for neglected patients. Worked with Insud’s non-profit partner Fundación Mundo Sano, to create a new Chagas access framework and put an end to the unacceptable situation where only 1% of people today have access to diagnosis and treatment. Forged alliances with Pharco Pharmaceuticals, the Ministries of Health of Malaysia and Thailand, Doctors Without Borders (MSF), and the Foundation for Innovative New Diagnostics (FIND) to assess new approaches to hepatitis C diagnosis and treatment, including through clinical trials that showed ravidasvir is as safe and effective as the very best of existing treatments. The landmark decision of the Malaysian government to issue a “government use” licence enabling access to more affordable versions of an expensive and patented medicine to treat the more than 400,000 people living with hepatitis C in Malaysia – and beyond. The ambitious programme on universal health coverage from the WHO Director-General, Dr Tedros, highly relevant for NTDs and antimicrobial resistance. The pledge of the G20 Ministers of Health Summit under Germany’s presidency to invigorate research and development efforts to find new, urgently needed drugs. Nearly 15 years ago, the founding partners of DNDi refused to accept as a given that neglected populations must continue to be forgotten by medical innovation. On behalf of DNDi, we express our sincere gratitude to our many partners, our funders and donors, and our staff, who have made our collective successes possible. Re-organization process started in 2017 to ensure structure keeps pace with evolution of DNDi portfolio. The WHO-DNDi joint initiative GARDP progressed its programmes in 2017, addressing antimicrobial resistance in neonatal sepsis, in sexually-transmitted infections, and through a ‘memory recovery and exploratory’ programme. 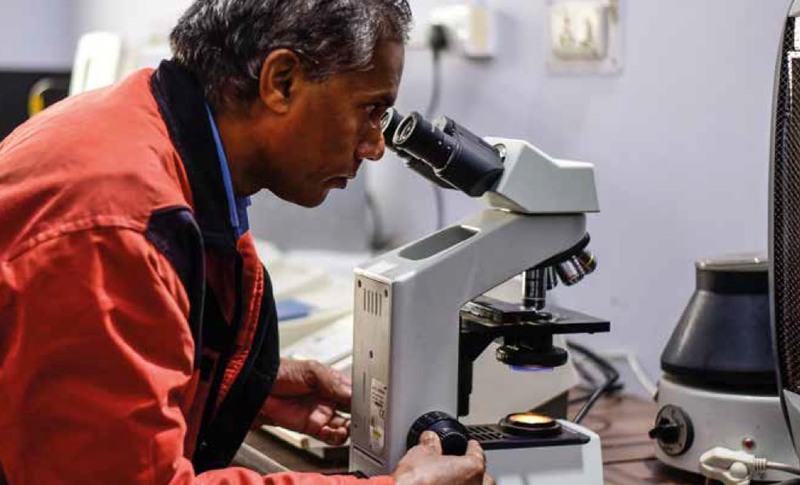 Could a form of leishmaniasis challenge elimination efforts in India? DNDi works through collaborations in all phases of drug research and development. In the very earliest stages of drug discovery, from molecule screening through to lead selection and optimization, this collaborative work takes place through key partnerships and drug discovery consortia that DNDi has gradually put in place over the last 15 years. Consortia are working on hit-to-lead and lead optimization activities for visceral leishmaniasis and Chagas disease with partners in the US, Canada, Europe, China, India, Japan, Korea, Australia, and finally Brazil where DNDi’s first early-stage research programme, Lead Optimization Latin America (LOLA), was launched in a neglected disease-endemic country. DNDi recognizes the scientific importance and the ethical imperative of sharing data collected through its clinical trials for health research, and is a signatory to the WHO Joint Statement on Public Disclosure of Results from Clinical Trials. DNDi recognizes the importance of sharing data collected through its clinical trials for health research, and the ethical imperative to contribute to increasing scientific knowledge. As such, in May 2017, DNDi signed on to the WHO Joint Statement on Public Disclosure of Results from Clinical Trials and committed itself to WHO’s standards on clinical trial transparency, including registering all clinical trials in a publicly available register, promptly reporting trial results 12 months after completion of the trial, and publishing findings in open access journals. Since 2015, DNDi has been running the “LIVING” study in Kenya, Uganda, and Tanzania for an improved “2-in-1” oral pellet formulation, with 819 children enrolled by the end of 2017. Interim results show the 2-in-1 formulation is effective and well-tolerated by children, and highly acceptable to caregivers. By introducing the 2-in-1 oral pellets, which are an interim solution to replace bitter-tasting syrups, DNDi is paving the way for the more rapid introduction of a “4-in-1” fixed dose combination, on track to be delivered in 2019. 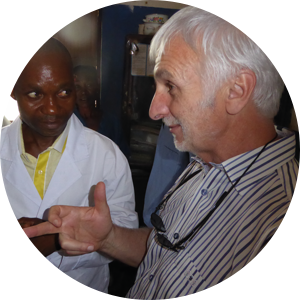 More than 200 people in the Democratic Republic of the Congo (DR Congo) have been actively engaged in DNDi’s five-year clinical development effort for fexinidazole. This unprecedented effort generated data enabling Sanofi to submit a regulatory dossier to the European Medicines Agency. All data were collected by local health staff at nine clinical sites (DR Congo and Central African Republic), with 10 mobile teams from the Congolese National Sleeping Sickness Control Programme screening over 2 million people in remote villages – and more than 660,000 people in 2017 alone. All data (biological, quality assessment, follow-up) were collected and managed by Congolese partners. DNDi conducted the STORM-C-1 open label trial to assess the efficacy, safety, tolerance, and pharmacokinetics of the drug candidate ravidasvir combined with sofosbuvir for the treatment of hepatitis C virus (HCV) in Malaysia. Interim results showed that 12 weeks after completing treatment, 97% of the 301 patients enrolled were cured. Disease-specific research platforms and networks are central to DNDi’s commitment to strengthen existing research capacity in endemic countries and to support programme sustainability. As we work with endemic-country partners to conduct clinical trials, central to DNDi’s mission and vision is the idea of strengthening existing clinical research capacities to ensure the sustainability of our work, and increasing endemic countries’ ability to respond to their own research needs. The disease-specific research platforms and networks created by DNDi and partners form a central part of this objective. To date, platforms or networks have been established for leishmaniasis in both East Africa and Latin America, for Chagas disease, and for human African trypanosomiasis. A filarial clinical research network is also beign set up, and efforts are underway to develop a network of researchers working in paediatric HIV. Over 150 institutions including: Pan American Health Organization (PAHO); Department of Neglected Tropical Diseases, WHO; Ministries of Health and National Control Programmes of high-burden endemic countries (Argentina, Bolivia, Brazil, Mexico, Paraguay, Honduras); MSF; International Federation of People Affected by Chagas Disease and patient associations. ARGENTINA: Hospital de Niños Ricardo Gutiérrez; Instituto Nacional de Parasitología Dr M. Fatala Chabén; Hospital de Niños de Jujuy; Hospital Público Materno Infantil – Salta; Centro de Chagas y Patologia Regional, Santiago del Estero; Consejo Nacional de Investigaciones Científi cas y Técnicas; Fundación Mundo Sano, ELEA. BRAZIL: Instituto Oswaldo Cruz; Instituto de Pesquisa Evandro Chagas–Fiocruz; Centro de Pesquisas René Rachou–Fiocruz; LAFEPE. BOLIVIA: Universidad Mayor de San Simón; Platform of Integral Care for Patients with Chagas Disease; Collective of Applied Studies and Social Development. COLOMBIA: Centro de Investigaciones en Microbiología y Parasitología Tropical, Universidad de los Andes; Centro Internacional de Entrenamiento e Investigaciones Médicas; Programa de Estudio y Control de Enfermedades Tropicales, Universidad de Antioquia (PECET); Red Chagas Colombia. FRANCE: Institut de Recherche pour le Développement. GERMANY: Bayer HealthCare. JAPAN: Eisai Co., Ltd. MEXICO: Instituto Carlos Slim de la Salud; Instituto Nacional de Salud Pública. SPAIN: ISGlobal and Barcelona Centre for International Health Research; Hospital Clinic Barcelona; Instituto de Parasitología y Biomedicina López Neyra; Consejo Superior de Investigaciones Científicas; Instituto Catalán de la Salud. SWITZERLAND: DNDi; Geneva University Hospitals. UK: The Global Health Network. USA: Merck; Sabin Vaccine Institute. Launch of a manifesto, signed by 143 investigators and civil society representatives, for mucocutaneous leishmaniasis to raise the awareness of the scientific community and policy makers of the urgent need for more research for this very neglected form of leishmaniasis. Co-organization of the ‘Brazilian Patients Forum against Infectious and Neglected Diseases’ during the 53rd Brazilian Congress of Tropical Medicine (MedTrop). In coordination with TDR/WHO, supported efforts on the harmonization of criteria for clinical trials in cutaneous leishmaniasis and conducted a systematic review to assess therapeutic response and relapse rates. BOLIVIA: Fundación Nacional de Dermatología (FUNDERMA), Universidad Mayor de San Simon. BRAZIL: Plataforma de Pesquisa Clínica – FIOCRUZ RJ, Centro de Pesquisa Gonçalo Moniz-FIOCRUZ BA; Universidade Federal da Bahia (UFBA); Universidade Federal do Piauí (UFPI); Centro de Pesquisa René Rachou-FIOCRUZ BH; Instituto Nacional de Infectologia – FIOCRUZ RJ; Fundação de Medicina Tropical Heitor Vieira Dourado; Ministério da Saúde ; Instituto Evandro Chagas; Universidade do Estado do Pará (UEPA); Instituto Nacional de Pesquisa da Amazônia (INPA); Secretaria Municipal de Saúde Unidade Referência em Atenção Primária Dra Claudia Vitorino; Universidade de Brasília – Núcleo de Medicina Tropical (UnB); Universidade Federal de Mato Grosso/Hospital Universitário Júlio Müller; Universidade de São Paulo (USP); Universidade Federal do Pará (UFPA); Universidade do Rio de Janeiro (UFRJ); Universidade Federal do Ceará (UFC), Universidade de Pernambuco (UFPE), Laboratório do Estado de Pernambuco (LAFEPE), Universidade Federal de Santa Catarina (UFSC). COLOMBIA: Centro Dermatológico Federico Lleras Acosta; Centro Internacional de Entrenamiento e Investigaciones Medicas (CIDEIM); Instituto Colombiano de Medicina Tropical; Instituto Nacional de Salud (INS); Programa de Estudios y Control de Enfermedades Tropicales (PECET), Ministerio de la Salud. GUATEMALA: Universidad del Valle. MEXICO: Universidad Nacional Autónoma de México. PANAMA: Instituto Conmemorativo Gorgas de Estudios de la Salud. PERU: Department of Parasitology, Public Health Training Program - U.S. Naval Medical Research Unit No. 6; Universidad Peruana Cayetano Heredia. SWITZERLAND: DNDi; FIND. VENEZUELA: Instituto Medico la Floresta. WHO. PAHO. 11 clinical trial sites were active and 2 in rehabilitation to conduct the Phase II/III study of acoziborole and the Phase IIIb study of fexinidazole. 10 mobile teams supported the screening of patients. Training activities increased, with 373 people trained (vs 262 in 2016) to address all aspects of ongoing clinical activities, including: training of investigators, nurses, and lab technicians; waste management; and training on diagnostic tools. Prepare for policy change and the development of national sleeping sickness treatment guidelines with fexinidazole in DR Congo. National sleeping sickness control programmes, research institutions, and national laboratories of public health of the most affected endemic countries: Angola, Central African Republic, Chad, Democratic Republic of Congo, Guinea, Republic of Congo, South Sudan, Sudan, Uganda; Centre interdisciplinaire de Bioéthique pour l’Afrique Francophone (CIBAF); Drugs for Neglected Diseases initiative (DNDi), Switzerland; Eastern Africa Network for Trypanosomosis (EANETT); Foundation for Innovative New Diagnostics (FIND), Switzerland; Institut de Recherche pour le Développement (IRD), France; Institut National de Recherche Biomédicale (INRB), DR Congo; Institut Pasteur Bangui, CAR; Institute of Tropical Medicine-Antwerp, Belgium; INZI Project, University of Edinburgh, UK; Juba University, South Sudan; Kenya Agricultural Research Institute – Trypanosomiasis Research Centre (KARI-TRC), Kenya; Médecins Sans Frontières (MSF); Swiss Tropical and Public Health Institute (Swiss TPH), Switzerland; Tropical Medicine Research Institute (TMRI), Sudan; University of Makerere, Uganda; WHO Department of Neglected Tropical Diseases, as observer. 5 clinical trial sites were active and 1 under construction in Ethiopia, Kenya, Uganda, and Sudan. Outside of the clinical trials, 1,084 people were treated and 2,898 were screened. 120 people were trained, including investigators, lab technicians, nurses, and pharmacists on Good Clinical Practice and protocols. Others received training on how to better communicate on their projects. Financial support for seven long-term trainings (Master’s degrees or diplomas) was also provided. Following the dissemination of the HIV/VL study results, support for the development of a new policy by WHO. Center for Clinical Research, Kenya Medical Research Institute, Kenya; Ministry of Health, Kenya; Institute of Endemic Diseases, University of Khartoum, Sudan; Federal Ministry of Health, Sudan; Addis Ababa University, Ethiopia; Gondar University, Ethiopia; Federal Bureau of Health, Ethiopia; Makerere University, Uganda; Ministry of Health, Uganda; MSF; London School of Hygiene & Tropical Medicine, UK; WHO; DNDi, Switzerland; FIND, Switzerland. Despite availability of effective and safe treatment options for hepatitis C virus (HCV), access to treatment is out of reach for millions due to high prices. DNDi has partnered with a range of stakeholders who share the common goal of increasing access to affordable HCV treatment, including: Pharco (Egypt) in the development of ravidasvir; the Malaysian Ministry of Health, which is taking a public health approach to treating HCV; and industrial partners Pharmaniaga (Malaysia) and Insud/Elea (Argentina), to secure a much more affordable price of USD 300-500 per treatment course. Results suggest that the ravidasvir/sofosbuvir combination is comparable to the best treatments available today, with a radical difference: price. But to use this drug combination, countries would also need access to affordable sofosbuvir. In September 2017, Malaysia issued a “government use” licence to source generic sofosbuvir, a move which has allowed it to accelerate access to affordable HCV treatment in its public hospitals. 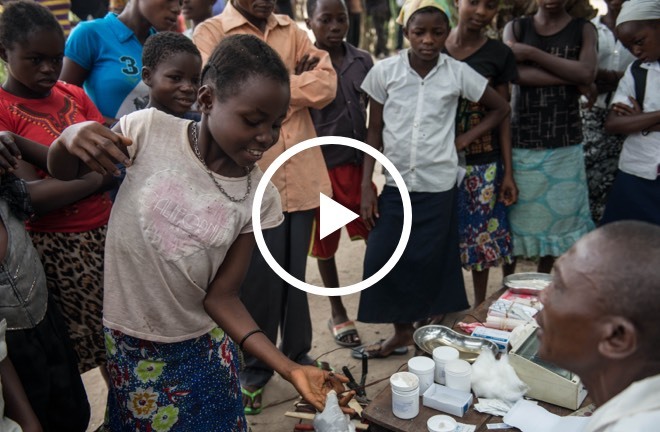 In December 2017, a few months after the conclusion of large-scale DNDi clinical trials, our industrial partner Sanofi submitted the registration dossier for fexinidazole as the first all-oral treatment for sleeping sickness. In a promising move for access, a submission was made to the European Medicines Agency under what is known as Article 58. If fexinidazole is registered in late 2018, regulatory approval will only be the first step. Translation into national policy and treatment guidelines will be needed as well as community awareness efforts and treatment knowledge for health providers. DNDi is working with Indian manufacturer Cipla to develop a “4-in-1”, a solid first-line fixed-dose combination combining four antiretrovirals (abacavir, lamivudine, lopinavir, and ritonavir), as granules contained in a capsule. Caregivers will be able to open the capsules and give the granules to children with soft food, breast milk, or milk and water. These granules will not require refrigeration, and they will be taste-masked and easy to dose across various weight bands. Submission for US FDA registration will be pursued in late 2018.
WHO Director General Dr Tedros has declared universal health coverage (UHC) to be the priority for his mandate. This has important implications for NTDs, which are diseases of poverty affecting most countries. Delivering quality UHC depends on the availability of and access to safe, effective, and affordable medicines, underscoring the continued need for R&D for NTDs as a key component of the UHC agenda. NTD programmes provide entry points to some of the world’s hardest-to-reach communities, and many policymakers have identified the ability to address NTDs as a “litmus test” for UHC. The Berlin Declaration that followed the first-ever G20 Health Ministers meeting in May 2017 cautioned that success in the fight against AMR cannot be achieved with current treatments. It recognized the importance of ‘reactivating the R&D pipeline through incentive mechanisms that avoid the reliance on high price/volume combinations’ to ensure sustainable access. It called for ‘broadening the voluntary financial support’ for initiatives, including GARDP, which ‘reinvigorate R&D in science and industry for antimicrobials’. 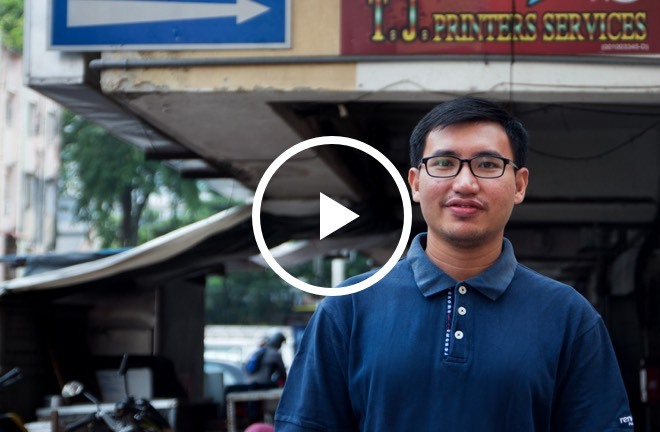 2017 was marked by the Malaysian government’s decision to reaffirm its strong commitment to providing access to treatments for hepatitis C by issuing a “government use” licence enabling access to more affordable versions of sofosbuvir, an expensive and patented treatment for hepatitis C. This is a landmark decision for the more than 400,000 people living with hepatitis C in Malaysia. Funds raised in 2017 for the neglected disease portfolio include increased support for the sleeping sickness programme from the Bill & Melinda Gates Foundation, as well as from private donors primarily from the US, through the HAT campaign launched last year, but also in Europe. Other noteworthy contributions include the first grant from the GHIT Fund secured for mycetoma, and from the European and Developing Countries Clinical Trials Partnership for a visceral leishmaniasis clinical trial in four African countries. In addition, the first grant entirely dedicated to DNDi’s HCV programme was received from the Médecins Sans Frontières/Doctors Without Borders (MSF) Transformational Investment Capacity. In May, the G20 Health Ministers cautioned that success in the fight against antimicrobial resistance (AMR) cannot be achieved with the current treatments. The Declaration welcomed and sought to build on initiatives such as GARDP, to ‘reinvigorate research and development in science and industry for antimicrobials.’ The German Federal Ministry of Health and Ministry of Education and Research then hosted a pledging conference for GARDP in September 2017. A total of EUR 56 M was pledged by Germany, Luxembourg, Monaco, the Netherlands, South Africa, Switzerland, the United Kingdom, and the Wellcome Trust for the development of new and improved treatments to fight antibiotic resistance and contribute to ensuring healthy lives and well-being for all. Of this total, EUR 5.5 M was received in 2017. Since 2003, DNDi’s cumulative income reached EUR 491 M, against a target of EUR 650 M by 2023. By the end of 2017, GARDP had EUR 64 M in commitments and pledges, almost 25% of the EUR 270 M total funding required to deliver GARDP’s objectives by 2023. In 2017, DNDi joined forces with the WHO Collaborating Centre for Leishmaniasis at the Instituto de Salud Carlos III, Madrid, to co-organize the 6th World Congress on leishmaniasis. The event attracted 1,500 scientific experts, health decision-makers, WHO, government representatives of endemic countries, and all major organizations involved in the fight against leishmaniasis. Among the outputs from the conference were a PLOS special collection dedicated to leishmaniasis; the ‘100 students’ initiative programme allowing students and young scientists from esourcelimited settings to attend, and supporting professional development of a new generation of scientists; and the launch of a manifesto to raise awareness of the urgent need for more research on mucocutaneous leishmaniasis, a very neglected form of leishmaniasis. In 2017, DNDi staff members authored or co-authored 22 peer-reviewed publications. Of these, nine had a lead author or co-author from an endemic country, and 18 were published in an open access journal, in keeping with DNDi's commitment to open access. In recognition of its innovative and collaborative model, DNDi was awarded the Innovation Prize 2017 by the Geneva Chamber of Commerce, Industry and Services, the Department of Security and Economy, and the Office for the Promotion of Industries and Technologies. DNDi would like to thank all its donors worldwide for their loyal commitment and collaboration since 2003. To date, DNDi has delivered seven new treatments and aims to bring 16-18 treatments to patients living with neglected diseases by 2023. DNDi is grateful for the support received from all donors who contributed toward the advancement of its mission and goals. Listed are supporters who have given a cumulative contribution of more than USD or EUR 10,000, as well as collaborative funding partners. Photo credits: Benoit Marquet-DNDi; Kishore Pandit-DNDi; Felipe Abondano-DNDi; Neil Brandvold-DNDi; Bobby Tan-DNDi; Scholars and Gentlemen/DNDi. A regulatory dossier is submitted by Sanofi to the European Medicines Agency for fexinidazole as the first all-oral treatment for sleeping sickness, following results from the Phase II/III study which proved “fexi” to be safe and effective. The introduction of fexinidazole would be revolutionary as it would end the need for invasive lumbar punctures to stage patients and for systematic hospitalization. DNDi and partners build up an unprecedented portfolio of 10 chemical classes, including four lead series, four pre-clinical candidates, and two clinical candidates to progress to Phase I, with the ultimate aim of developing two entirely new treatment combinations for both visceral and cutaneous leishmaniasis, in all regions. Meanwhile, studies begin in South Asia, Latin America, and East Africa to test new regimens for post-kala-azar dermal leishmaniasis, cutaneous leishmaniasis, and visceral leishmaniasis. And the results of a trial showing the efficacy of a potential new firstline regimen for HIV/VL co-infection are presented in Ethiopia. Insud’s benznidazole is registered in the US, supported by DNDi. This is the first drug approved by the FDA to treat Chagas disease. Insud is granted a priority review voucher – 50% of revenue derived from its sale will support access to Chagas treatment, notably through the new Chagas Disease Regional Access Framework developed by DNDi and Fundación Mundo Sano. The search for better treatment options goes on, with recruitment completed in the Phase II study of new regimens of benznidazole, and benznidazole in combination with fosravuconazole in Bolivia, and a study launching in Spain to evaluate short-course fexinidazole regimens. DNDi continues to build a diverse portfolio of potential macrofilaricides (drugs that kill adult filarial worms) in order to provide a needed cure for patients. Phase I studies in healthy volunteers begin for both Bayer’s emodepside, which targets adult worms, and AbbVie’s antibiotic TylAMac, which targets the endosymbiotic bacteria (Wolbachia) that live in some filarial worms and are essential for the worms’ survival. Patients are enrolled in Sudan in the first- ever double-blind, randomized clinical trial for eumycetoma (the fungal version of mycetoma), assessing fosravuconazole as a potential new treatment for this extremely neglected and disfiguring disease. A first-line “4-in-1” fixed-dose combination of abacavir, lamivudine, lopinavir, and ritonavir granules is on track to be submitted for US FDA registration in late 2018 to radically improve treatment options for young children living with HIV. In the meantime, results from the LIVING study show that “2-in-1” lopinavir/ritonavir pellets improve treatment outcomes for children, and are well adopted by caregivers. Treatment is completed by all 301 patients in a Phase II/III trial combining ravidasvir and sofosbuvir in Malaysia and Thailand, with 97% cured overall and high cure rates for the hardest-to-treat (cirrhotic) patients. This means the combination is equivalent to the best therapies in use today, raising hope for alternative affordable options for countries unable to access generic treatments. OBJECTIVE: Maintain back-up candidate oxaboroles to replace the drug candidate acoziborole, if needed. To ensure future development options if needed, DNDi continues to provide support and advice to researchers working on the discovery of new candidates for HAT, and maintains two back-up candidates from the oxaborole class, both having demonstrated cure for stage-2 of the disease in a murine model. Following its identification as a hit compound in the Anacor chemical library, acoziborole became DNDi’s first new chemical entity resulting from its own lead optimization programme to enter clinical development. A Phase I study was completed in 2015 and determined the therapeutic dose at 960 mg, to be administered as a single dose of three tablets, with a favourable safety profile. A pivotal Phase II/III trial started in the last quarter of 2016 in seven clinical sites in the Democratic Republic of Congo (DR Congo). In 2017, recruitment continued in the DR Congo with the inclusion of 76 patients (out of a target of 210) at eight clinical sites, including new sites in Bandundu and Kinshasa (Roi Baudouin Hospital), in addition to Katanda, Isangi, Dipumba, N’gandajika, Masi Manimba, and Kwamouth. One site (Bolobo) was closed in December 2017. Three more sites will open in 2018, including one in Guinea. The submission of a regulatory dossier to the European Medicines Agency under Article 58 is planned for 2021. In the 1970s, Hoechst (now part of Sanofi) initiated but did not pursue the pre-clinical development of fexinidazole, an anti-parasitic drug. In 2005, the compound was identified by DNDi as showing activity against the parasite that causes sleeping sickness. Pre-clinical studies began in 2007. In 2009, DNDi and Sanofi concluded a collaboration agreement for the development, manufacturing, and distribution of fexinidazole, with DNDi responsible for pre-clinical, clinical, and pharmaceutical development, and Sanofi responsible for the industrial development, registration, production, and distribution of the drug. Phase I studies began in 2010, and a Phase II/III pivotal clinical study started in 2012, led by the National HAT Control Programme (PNLTHA) of the Democratic Republic of Congo (DR Congo) and supervised by DNDi. Between 2012 and 2016, the open label randomized pivotal Phase II/III clinical trial compared the efficacy and safety of fexinidazole – a 10-day all-oral treatment – with today’s first- line treatment, nifurtimox-eflornithine combination therapy (NECT) – 14 intravenous infusions of eflornithine over seven days together with three times a day oral nifurtimox for ten days and requiring hospitalization – in meningo-encephalitic (stage-2) g-HAT patients. 394 patients were recruited across 10 sites in the DR Congo and Central African Republic. Results confirmed a treatment success rate of 91.2% for fexinidazole, versus 97.6% for NECT, 18 months after the end of treatment. The results show that fexinidazole is effective within a predetermined acceptability margin, set following a survey with practitioners, based on the significant advantages of having a first-line treatment that is oral. There were no major differences in safety. 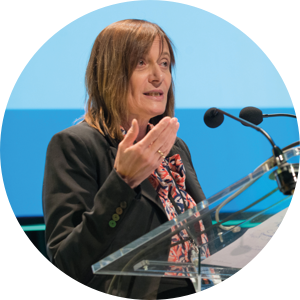 The results were published in The Lancet1 and presented at the European Congress on Tropical Medicine and International Health in October 2017. Two additional complementary cohorts with fexinidazole were completed in 2016, one including 230 adult patients with stage-1 and early stage-2 disease, and another including 125 children between six and 14 years, both at sites in the DR Congo. Follow-up of these patients was completed in 2017, with results to be published in 2018. In January 2018, DNDi’s industrial partner Sanofi submitted a regulatory dossier to the European Medicines Agency (EMA) under Article 58 for the treatment of T.b. gambiense HAT (stages-1 and 2) in adults and children above the age of six and above 20kg. By involving the WHO and regulators from the DR Congo and Uganda in the EMA process, the use of Article 58 will enable faster in-country implementation of fexinidazole. A further Phase IIIb trial to obtain more information about special populations not included in previous fexinidazole studies (including pregnant and lactating women, and patients with poor nutritional status or chronic diseases) started in 2016 and is ongoing at seven sites in the DR Congo, of which two were newly opened in 2017. Patients are treated either in hospital or at home, based on pre-determined clinical and social criteria, thereby also providing preliminary information about treatment compliance and final effectiveness in ambulatory patients. Three additional sites will be opened in 2018, including one in Guinea. 1Mesu, Victor Kande Betu Ku et al. Oral fexinidazole for late-stage African Trypanosoma brucei gambiense trypanosomiasis: a pivotal multicentre, randomised, non-inferiority trial. The Lancet, Volume 391, Issue 10116, 144-154. November 2017. Advinus Therapeutics Ltd, India; Aesica, UK; Amatsi Aquitaine (formerly Bertin Pharma), France; Aptuit, Italy; Avista Pharma (formerly SCYNEXIS), USA; Biotrial, France; Cardiabase, France; CBCO, DR Congo; Creapharm, France; Eurofins-Optimed, France; HAT Platform; Institut de Recherche pour le Développement, France; Institut National de Recherche Biomédicale, DR Congo; Institute of Tropical Medicine Antwerp, Belgium; Laboratory of Microbiology, Parasitology, and Hygiene, University of Antwerp, Belgium; Luxembourg Institute of Health, Luxembourg; Médecins Sans Frontières; National Control Programmes of the Democratic Republic of Congo, the Central African Republic, and of Guinea; Pace University, USA; Patheon, UK; Pfizer Inc., USA; Pfizer Inc. (formerly Anacor Pharmaceuticals Inc.), USA; PhinC, France; RCTs, France; Sanofi, France; SGS, Belgium; SGS, France; Swiss Tropical and Public Health Institute, Switzerland; Theradis Pharma, France; WHO-NTD (Neglected Tropical Diseases department). More than 20 novel series were identified in 2017 and are currently being progressed. A new discovery cascade was implemented in 2017, comprising new in vitro and in vivo models. If promising activity is demonstrated, the identified series will then be advanced to full lead optimization programmes. The Drug Discovery Booster was launched in 2015 to circumvent early-stage commercial barriers between pharmaceutical participants, allowing DNDi to search millions of unique compounds simultaneously in the hunt for new treatment leads. In 2017, two new companies - AbbVie and Merck - joined the Drug Discovery Booster, which included already Takeda, Eisai, Shionogi, AstraZeneca, and Celgene, bringing the total to seven participants. To date, 32 iterations of the booster have been launched around 16 distinct seed compounds. Ten hit series have been identified, four of which will enter into proof-of-concept in vivo efficacy studies by Q1 2018. Three T. cruzi active series with marginal activity against Leishmania were identified from a high-throughput screening of 40,000 members of the Daiichi Sankyo Pharma Space Library. Current medicinal chemistry efforts of this hit-to-lead collaboration focus on one series that was confirmed as the most promising chemotype in terms of activity and selectivity profile. To date, over 100 analogs to this series have been synthesized and tested for T. cruzi and Leishmania activities at Institut Pasteur Korea, leading to the identification of four preferred molecules nominated to proceed with pharmacokinetics studies. This project was initiated in April 2017 for a duration of 18 months. The only measurable treatment outcome currently available is the disappearance of anti-Chagas antibodies. In adults, this can take several decades. Pre-clinical studies started in 2016 and were ongoing in 2017 to identify and validate potential biological markers of therapeutic response in Chagas patients. In addition, through the Ibero-American network NHEPACHA, DNDi is fostering work on testing four biomarkers to assess the response to Chagas treatment. The “BENDITA” study aims to improve safety, tolerability, and compliance whilst maintaining or increasing efficacy compared to current regimens for chronic indeterminate Chagas disease patients. The trial used different doses, dosing frequency, and treatment duration of benznidazole as monotherapy or in combination with fosravuconazole. The trial has been conducted in three sites in Bolivia, with recruitment completed in July 2017. The primary efficacy parameter is sustained parasitological response at six months. The final assessment will include 12 months of follow-up, with final results available in early 2019. A Phase II proof-of-concept study of fexinidazole initiated in 2014 in Bolivia was interrupted due to safety and tolerability issues. Analyses of key outcomes demonstrated high efficacy findings at the lowest dose tested for all treatment durations, with safety concerns about treatment at high doses tested for more than 14 days. Acceptable safety and tolerability were found at low doses and short treatment durations. From this conclusion, a new Phase II proof-of-concept study using shorter and lower-dose treatment regimens started in October 2017 at four sites in Spain (three in Barcelona, one in Valencia) with a fifth site to be opened in Madrid. The target conclusion date is mid-2019. This is the first time DNDi conducts a clinical trial for Chagas disease outside Bolivia and Latin America. The process of hit-to-lead optimization is ongoing with multiple series from several pharmaceutical companies and with hits from libraries purchased from commercial vendors and screened by DNDi to be advanced if promising activity can be shown in pre-clinical models. In 2017, two new companies - AbbVie and Merck - signed on to the Drug Discovery Booster, joining Takeda, Eisai, Shionogi, AstraZeneca, and Celgene. Current hit-to-lead efforts of the series identified from the Daiichi Sankyo Pharma Space Library focus on Chagas disease (see p. 52), but the project team submits any newly synthesized molecules to a Leishmania cross screen to assess potential. These two compounds from the oxaborole class serve as back-ups to DNDI-6148. Their further development is currently on hold and will only recommence should problems be encountered with the development of DNDI-6148. DNDI-5561 was nominated as a new pre-clinical candidate from the aminopyrazole series in October 2017. Four back-up compounds are well advanced and offer similar profiles to DNDI-5561. Additional studies, including preliminary toxicology assessments, are being planned to further understand the safety profiles of these compounds and to identify the best back-up to DNDI-5561. DNDi developed this aminopyrazole series from a high- throughput screening hit from a Pfizer compound library. DNDi’s collaboration with Celgene Global Health continues to explore the potential of this series to deliver a pre- clinical candidate. Compounds with much improved physical properties, including improved aqueous solubility, were identified in 2017. Following proof-of-principle with the 205 series for VL, compounds from this series have shown a 100% parasite load reduction in liver and spleen in a VL murine model. Further characterization of this series is ongoing. Over 400 compounds have been synthesized to date in this lead optimization programme for Chagas disease and leishmaniasis. DNDI-0690, a nitroimidazooxazine for the treatment of VL and possibly CL, was selected for pre-clinical development in September 2015. A full pre-clinical toxicology and safety studies package was completed in 2017, and the decision to progress to a Phase I single ascending dose study in healthy volunteers is anticipated in early 2018. DNDi and Anacor have been working together over the last few years to identify oxaborole compounds, initially for the HAT programme, but this work has now expanded to include both leishmaniasis and Chagas disease. DNDI- 6148 has emerged as a promising lead candidate for VL and CL, and by the end of 2015, studies including exploratory toxicology necessary for possible progression to pre-clinical development had been successfully completed. In January 2016, DNDI-6148 was nominated as a pre-clinical candidate for the treatment of VL and possibly CL. The pre-clinical toxicology package was completed in 2017, and the decision was made to progress to Phase I single ascending dose in healthy volunteers in parallel with additional toxicological investigations. This project is the continuation of the optimization of the aminopyrazole series for VL. With the funding of the Japanese GHIT Fund, DNDi and partner Takeda worked with the objective of delivering an anti-parasitic aminopyrazole drug, as well as back-up candidates. DNDI-5561 is the front- running second-generation aminopyrazole. Following positive results from efficacy and safety studies, DNDI-5561 was selected as a pre-clinical candidate in October 2017. 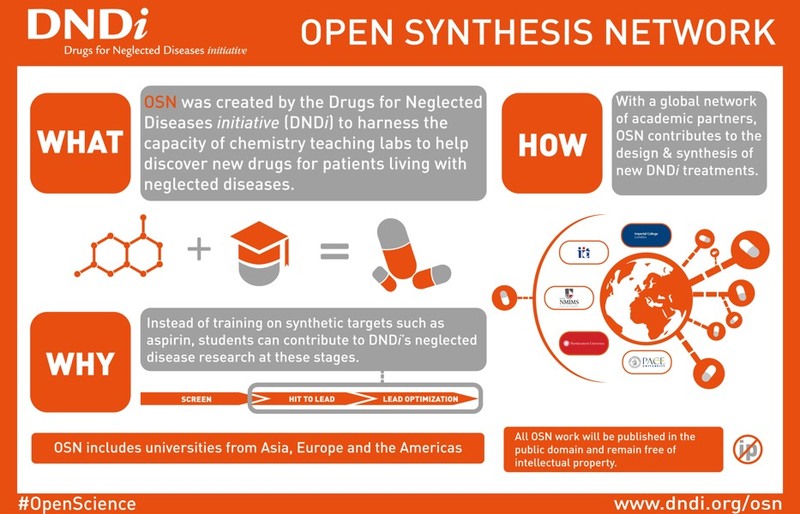 In April 2017, DNDi and GSK entered into an agreement for the pre-clinical development of two compounds for leishmaniasis which were discovered by GSK in collaboration with the Drug Discovery Unit (DDU) at the University of Dundee, following some co-funding by the Wellcome Trust. CpG-D35 is being developed as a combination therapy for the treatment of complicated CL and PKDL in partnership with GeneDesign. Leishmania parasites are able to persist in host cells by evading or exploiting immune mechanisms. Modulating the immune response with CpG oligonucleotides may improve the effectiveness of chemotherapies. In 2017, final results of the pre-clinical in vivo efficacy study showed an improved outcome for CpG-D35, either alone or in combination with pentavalent antimony (glucantime). These results supported the completion of the pre-clinical package and initiation of the preparation of clinical supplies for a Phase I study. When administrated alone, current CL treatments (antimonials, miltefosine, and thermotherapy) have well-established safety and efficacy profiles which are not satisfactory. Using a combination of therapeutic approaches may reduce efficacy rates, reduce treatment duration, and reduce the rate of adverse events. A combination of one single application of thermotherapy at 50°C for 30 seconds with a three-week course of oral miltefosine is being tested in a Phase II study in Colombia and Peru to gain information about safety and efficacy. In 2017, recruitment of patients continued in Peru with the inclusion of 41 patients, and the study started in Colombia with the inclusion of 21 patients (out of a target of 130 patients). An interim analysis is planned in early 2018 once 65 patients have completed the Day 90 follow-up visit. Patients with VL and HIV co-infection are very difficult to manage. They have a high rate of treatment failure, a higher risk of death, and multiple episodes of relapse. In 2014, a randomized non-comparative Phase III study testing both AmBisome monotherapy (regimen currently recommended by WHO) and a combination of AmBisome and miltefosine was initiated at two sites in Ethiopia for the treatment of HIV/VL co-infection. After 59 patients had been enrolled, recruitment was interrupted, as efficacy at the end of treatment was lower than expected. Patients who had not achieved cure at the end of treatment were given a second cycle of the same treatment and efficacy was measured again at the end of this second cycle. Despite an initial disappointing result, the efficacy of the AmBisome and miltefosine combination used within a strategy of prolonged treatment for patients difficult to cure, gave promising results. In 2017, results were presented to the Ethiopian authorities and WHO, to promote the implementation of the combination of AmBisome and miltefosine as first-line treatment for HIV/VL co-infected patients, using the strategy of one or two treatment cycles. A scientific paper will be published in 2018 to open discussion with other stakeholders to support new recommendations for treating HIV/VL co-infection. In India, DNDi is the technical partner with the Rajendra Memorial Research Institute (RMRI) in a study sponsored by MSF and launched in the state of Bihar in 2017. This Phase III study will test AmBisome monotherapy and AmBisome in combination with miltefosine in 150 patients. Recruitment is expected to be completed by early 2018. Results will inform the national road map of kala-azar elimination in India. PKDL is present mainly in two regions. In East Africa, the disease affects approximately 55% of patients previously treated for VL, a few months after VL therapy, and self-heals in 80% of cases within six months. Due to the nature of the disease and toxicity of the currently available treatments, only certain patients are targeted for treatment. In South Asia, where PKDL occurs in around 5-15% of treated VL cases many months or even years after VL therapy, the recommendation is to treat all patients. Early treatment of PKDL patients has a benefit for the individual, but could also be a critical element of any VL public health and elimination strategy, as PKDL patients are believed to constitute a potential reservoir of infection for VL. In late 2017, recruitment started for a Phase II study in Asia to test both AmBisome monotherapy and a combination of AmBisome and miltefosine, with six patients enrolled in clinical sites in India (RMRI in Patna and KAMRC in Muzzafarpur), while a clinical site in Bangladesh is preparing for initiation. The target recruitment of 110 patients is expected to be completed by January 2019. A Phase II study to test both AmBisome in combination with miltefosine, and paromomycin in combination with miltefosine is under preparation in Sudan. Target recruitment will be 110 patients over two years. A PKDL infectivity study – studying the ability of a pathogen to establish a horizontal infection, that is not from parent to child – in Bangladesh completed the recruitment of 65 patients and results are under analysis. In Sudan, the preparation of an insectarium for infectivity studies continues. The Brazilian Ministry of Health is reviewing its treatment policy with regard to the adoption of AmBisome as first-line treatment for VL following the presentation of previous trial results to the Ministry in 2016. A Phase III study to compare two different durations (14 and 28 days) of combination regimens of miltefosine and paromomycin with the current standard VL treatment - sodium stibogluconate (SSG), and paromomycin - in both paediatric and adult patients has begun in East Africa - replacing the toxic SSG with oral miltefosine treatment in a combination. In 2017, the study protocol went through a joint review facilitated by WHO-AVAREF (African Vaccine Regulatory Forum), with representatives from AVAREF, the National Ethic Committees, and regulatory authorities from Ethiopia, Kenya, Sudan, and Uganda. A clinical site was initiated in Dooka, Sudan in December 2017 and the first patient recruited in January 2018. Clinical sites in Kenya (Kacheliba) and Ethiopia (Gondar) are about to be initiated, followed by additional sites in Uganda and Kenya. Fosravuconazole (formerly known as E1224 in DNDi’s portfolio), an orally bioavailable azole developed by the Japanese pharmaceutical company Eisai, is under development for Chagas disease by DNDi (see p. 53). It could also be an effective and affordable treatment for eumycetoma. Its pharmacokinetic properties are favourable and its toxicity is low. After receiving regulatory and ethical approval in March 2017, the Mycetoma Research Centre, a WHO Collaborating Centre, began recruiting patients into the first-ever double-blind, randomized Phase II/III clinical trial for eumycetoma. The clinical trial, which plans to recruit 138 patients, evaluates the efficacy of the anti-fungal fosravuconazole in moderate lesions in comparison with the current treatment, itraconazole. The primary objective of this single-centre study conducted in Sudan is to demonstrate the superiority of fosravuconazole over itraconazole after 12 months’ treatment. By the end of 2017, 20 patients had been enrolled into the trial, a pace of enrolment that was slower than anticipated. In 2018, a satellite site will be established to screen more patients and refer them for treatment and care. In 2017, well-characterized libraries of compounds that had been extensively optimized for other indications were provided to DNDi by several pharmaceutical companies for screening. Early screening of 530 compounds has been completed with Salvensis, Merck Sharp & and Dohme, University of Carolina, AbbVie, and others. 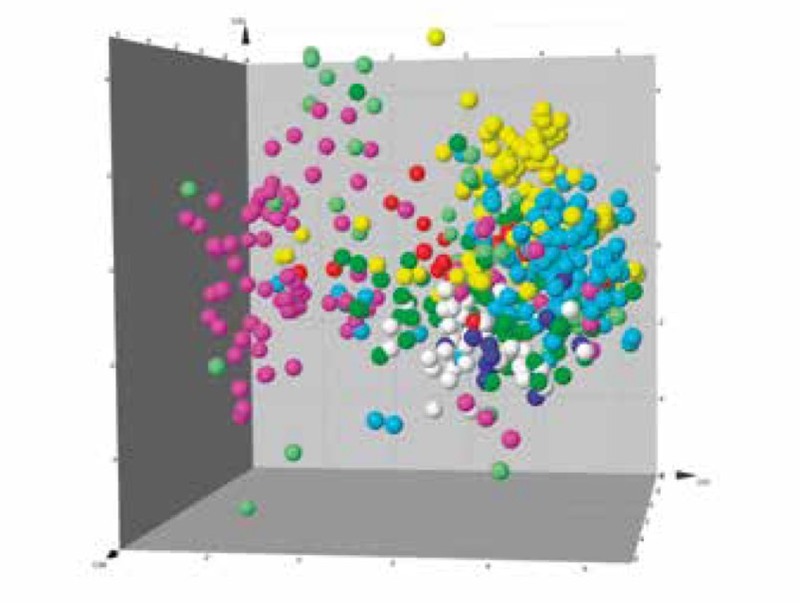 From this initial screen, a full lead optimization programme has been undertaken in collaboration with Celgene with further exploration of identified hits (505 compounds). This effort will continue through 2018, with the aim of delivering a pre- clinical candidate for filarial diseases. Following a drug repurposing strategy, screening of compounds against Onchocerca gutturosa and Onchocerca lienalis identified several candidates from compound libraries provided by pharmaceutical companies. These compound collections are well-characterized chemical series which have been extensively optimized for use in other indications. Although the project was quite successful, none of the identified candidates had a drug profile with utility for filarial diseases. Screening of compounds from several more companies yielded further candidates. These companies are conducting a hit-to-lead and lead optimization programme, which aims to develop a drug candidate for filarial indications. DNDi has contributed to this effort by providing biological resources, expertise, and the target product profile to select the best candidates. In 2017, candidates from four distinct chemical series were evaluated through the lead optimization effort conducted in collaboration with Celgene while others were evaluated through the Macrofilaricide Drug Accelerator (MAC DA) led by the Bill & Melinda Gates Foundation as part of efforts to develop a third microfilaricide candidate for development. Oxfendazole is currently under development for treatment of neurocysticercosis and trichuriasis. Taking advantage of pre-clinical work already available in the public domain, DNDi is exploring the possibility of repurposing oxfendazole as a macrofilaricidal treatment for filarial indications. ABBV-4083 is a derivative of Tylosin, a veterinary antibiotic that targets the worm-symbiont Wolbachia. The compound is currently in early clinical development by AbbVie for the treatment of filarial diseases. ABBV-4083 is orally available, induces a robust anti-Wolbachia effect in several in vivo models, demonstrates clear superiority over doxycycline, and is effective after a shorter dosing regimen. Preliminary safety and toxicology profiling of this compound suggests a favourable safety profile. Toxicology studies were completed in 2017, and an oral formulation was developed. In December, AbbVie began the first human trial of ABBV-4083 to test the drug’s safety in healthy volunteers and assist in the selection of doses for future trials. This Phase I study, conducted at at AbbVie’s Clinical Pharmacology Research Unit in Chicago, US is expected to be completed in 2018. Originating from the Japanese pharmaceutical company Astellas, emodepside has been developed and is currently commercialized by Bayer Animal Health as an anti-helminthic veterinary drug for cats and dogs. DNDi has a collaboration agreement with Bayer to jointly develop emodepside for the treatment of onchocerciasis in humans. DNDi is responsible for clinical development, and Bayer for pre-clinical, pharmaceutical development, manufacturing, registration, and supply of the drug at the lowest sustainable price. Emodepside entered into Phase I studies in 2016, which continued throughout 2017 with 116 healthy volunteers recruited by the end of the year. The single ascending dose study was completed and the multiple ascending dose study will be completed in 2018. Together with Cipla Ltd. and with the support of Unitaid, DNDi has developed a solid first-line 4-in-1 fixed-dose combination (abacavir/lamivudine/lopinavir/ritonavir) using the World Health Organization-recommended treatment regimen for infants and young children. The 4-in-1 formulation, in the form of a capsule containing solid taste-masked granules, will be a great improvement over the current high-alcohol content LPV/r syrup and will not require refrigeration. It will be adequately dosed based on a child’s weight, according to weight bands. In addition, caregivers will no longer have to worry about whether their children can swallow a capsule, as the granules within the capsule can easily be mixed with soft food or breast milk. Preliminary pharmacokinetic studies in healthy human volunteers were conducted in 2017 with a final 4-in-1 formulation. Bioequivalence studies in healthy human volunteers will be performed in 2018, enabling regulatory filing. Safety, acceptability, and efficacy data on this new formulation will also be generated in sub-Saharan Africa to provide evidence for worldwide scale-up. The objective is to submit the 4-in-1 dossier for registration in late 2018. Up until 2015, the only available version of LPV/r was a bitter-tasting syrup that requires refrigeration and contains 40% alcohol. In June of that year, the U.S. Food and Drug Administration approved an oral pellet formulation of LPV/r, developed by the Indian generic pharmaceutical company Cipla Ltd., which can be administered to young children with food and does not require refrigeration. In September 2015, and with the support of Unitaid, DNDi launched the LIVING Study to provide early access to and demonstrate the effectiveness, safety, and acceptability of this new “2-in-1” LPV/r pellet formulation with more than 800 patients across Kenya. The study was expanded to additional sites in Uganda, and then to Tanzania in LPV/r pellets + dual NRTI 2017. This study tested the use of these pellets in the field in combination with a class of ARVs known as nucleoside reverse transcriptase inhibitors (NRTIs), namely zidovudine/ lamivudine (AZT/3TC) or abacavir/lamivudine (ABC/3TC). The study is intended to demonstrate the effectiveness, safety, and acceptability of LPV/r oral pellets in the field and pave the way for the 4-in-1. This study marks the first time that these pellets are being used in real-life settings and the findings will undoubtedly help programmes worldwide scale up treatment for HIV-infected children. As of the end of 2017, 818 paediatric patients had been enrolled at 12 sites. 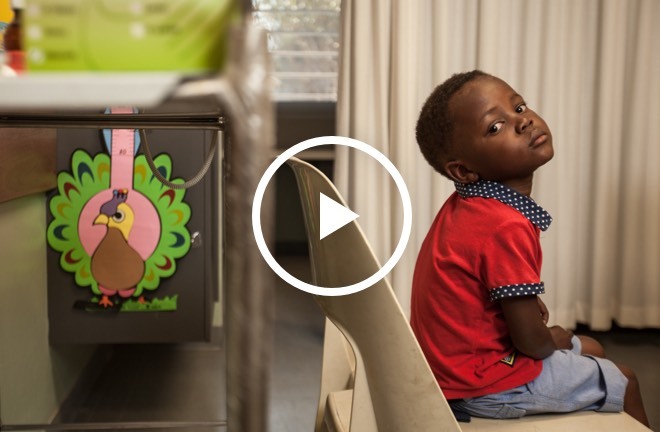 Interim results were presented at the end of 2017 at the ICASA conference, showing that oral “2- in-1” pellets are effective, well tolerated, and well accepted by caregivers and children. Based on experience gained from introducing the 2-in-1, DNDi will work with health ministries, donors, and other HIV stakeholders to ensure that children will have access to the 4-in-1 when it is available. More than one million people are estimated to be chronically infected with HCV in Thailand and 400,000 in Malaysia, where genotypes 1, 3, and 6 are most common. Both countries were initially excluded from all global voluntary licensing agreements with drug companies. In 2016, DNDi launched the “STORM-C-1” open label trial at eight sites in Malaysia and Thailand to assess the efficacy, safety, tolerability, pharmacokinetics, and acceptability of 12- and 24- week regimens combining the drug candidate ravidasvir with sofosbuvir in people living with the hepatitis C virus (HCV). In stage one of this study, 301 chronically infected adults were treated with the ravidasvir/sofosbuvir combination for 12 weeks for patients without cirrhosis of the liver, and for 24 weeks for those with compensated cirrhosis. Initial results published in April 2018 showed that after 12 weeks of treatment, 97% of those enrolled were cured (95% CI: 94.4- 98.6). Cure rates were very high, even for the hardest-to-treat patients. Importantly, patients combining several risk factors were cured, and no unexpected safety signals were detected. To further establish the pan-genotypic profile of ravidasvir, further data will be collected in Malaysia and Thailand, and other trials are envisioned in other parts of the world (for genotypes 2 and 5) and Ukraine (for vulnerable patient groups, including injecting drug users). Registration of ravidasvir will be pursued in Malaysia and other middle-income countries, including in Latin America. DNDi‘s HCV programme includes work with Médecins Sans Frontières to develop and implement simpler models of care in specific target populations, as well as in large-scale treatment cohorts in Cambodia and Ukraine. The objective is to demonstrate that the challenges posed by HCV can be addressed through a public health approach.